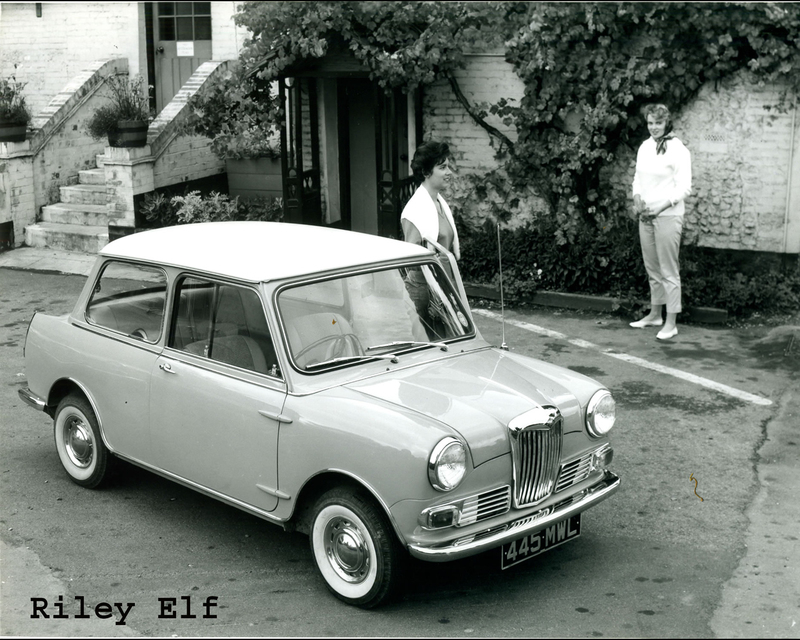 Camber GT, Ogle Mini GT, Unipower GT, Deep Sanderson 301, Mini Marcos GT, Wolseley Hornet, Austin Seven Countryman, Morris Mini-Traveller, Riley Elf. 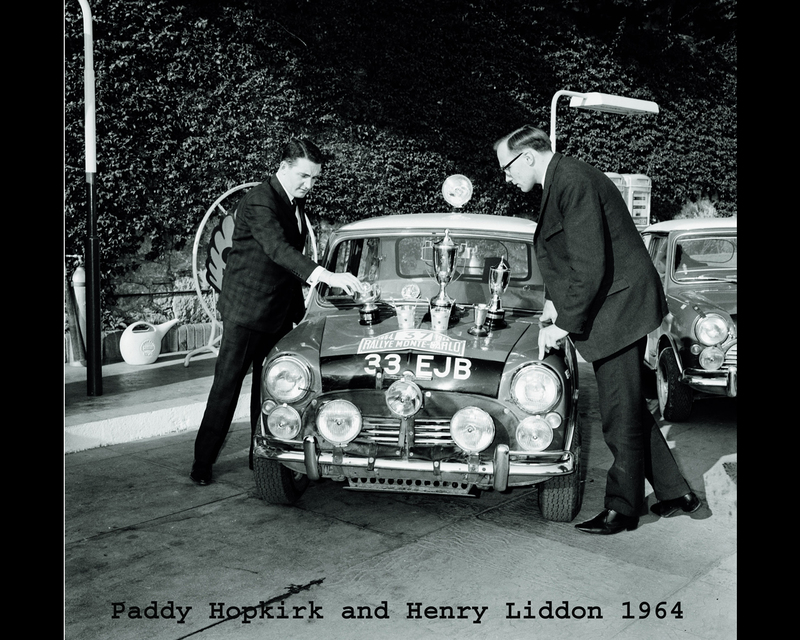 Reducing fuel consumption was already becoming an important issue for vehicle developers fifty years ago. Back in 1956 the Suez crisis and petrol rationing were major factors for the automobile industry. 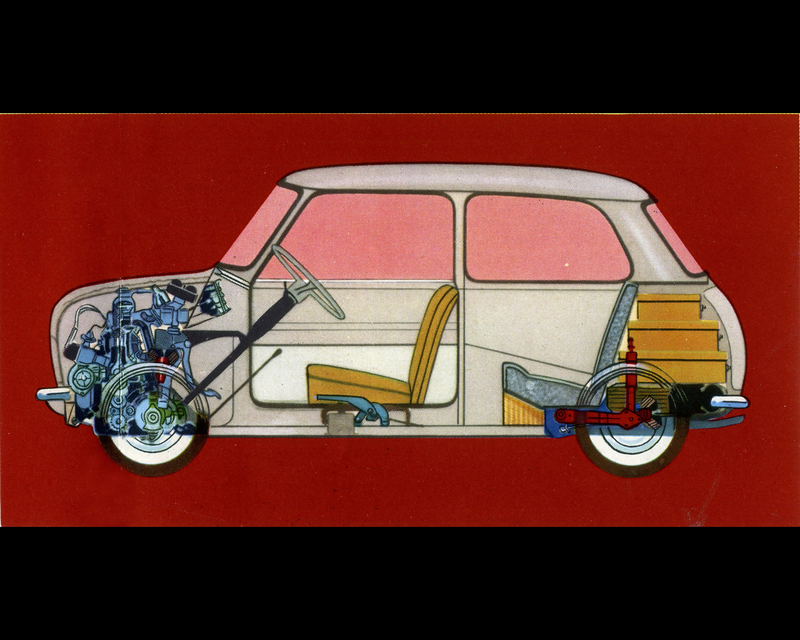 BMC management gave designer Alec Issigonis the following guidelines: the Mini must make creative use of the limited space available; accommodate four passengers; and guarantee perfect handling and low fuel consumption. BMC dedicated £ 10,000,000 to the project. The project instruction was to produce the world’s most economic car. 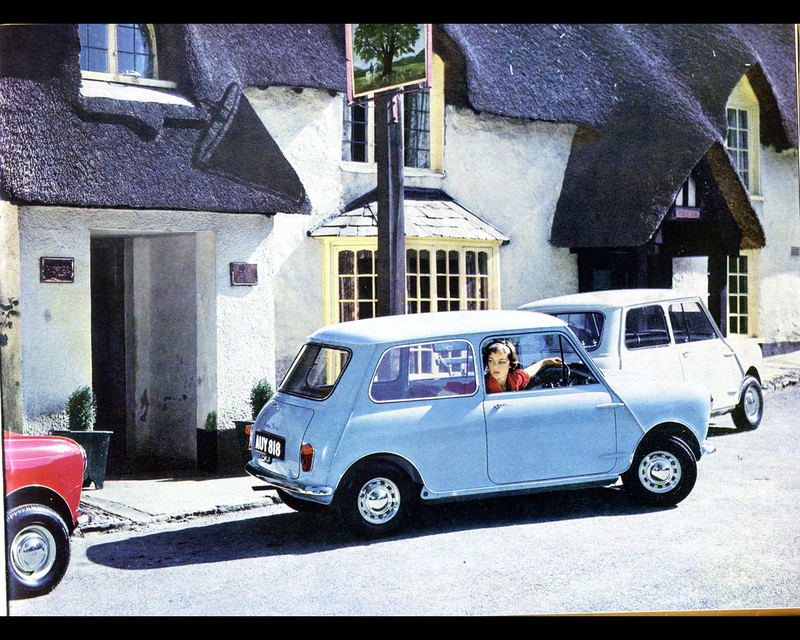 The new BMC 850 car called Morris Mini Minor or Austin Seven respectively by the two sales networks that were to handle it. During the prototype stage, numerous cars were built with various engine arrangements. Air cooled units, so popular at the time on the Continent were given an exhaustive testing and eventually discarded. The revolutionary small car was 3.05 meter long and dedicated 80% of its volume to the passengers. The power plant was water cooled four cylinder placed across the front of the car over the transmission and activated the front wheels. The engine with 850 cc. produced 34 hp at 5500 rpm on a compression ratio of 8.3 to 1. The pushrod-operated overhead valves and other mechanical details follow standard BMC practice, but the driven plate of the clutch is on the opposite side of the flywheel, between it and the main bearing. The clutch drives the input shaft of the gearbox through helical tooth spur gears, between which an idler wheel is mounted. The gear is a normal BMC four speed type, though it is located below, and parallel with the crankshaft, running therefore in the engine oil. A pair of helical tooth spur reduction gears take the drive from the output shaft to the differential, which is offset in a horizontal plane. 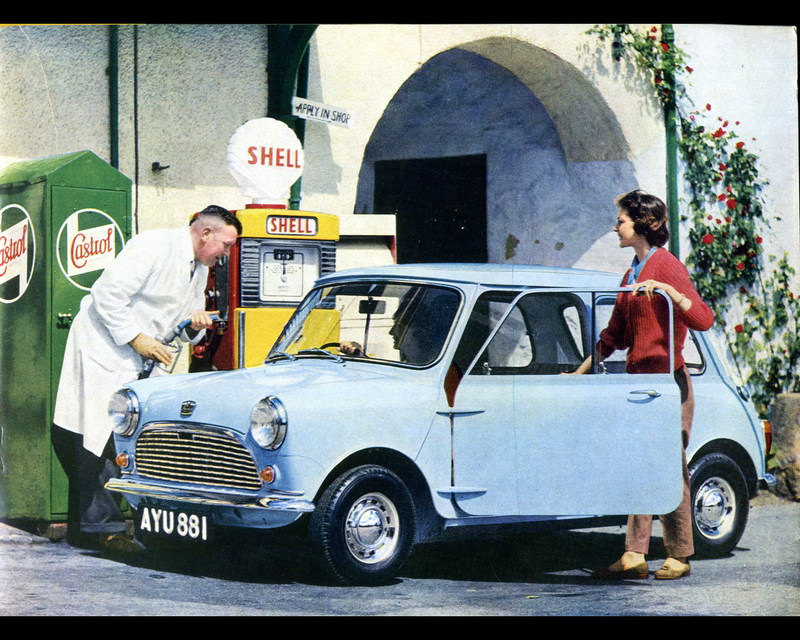 By 1962 – within three years of its market launch – Mini production already exceeded 200,000 vehicles a year. 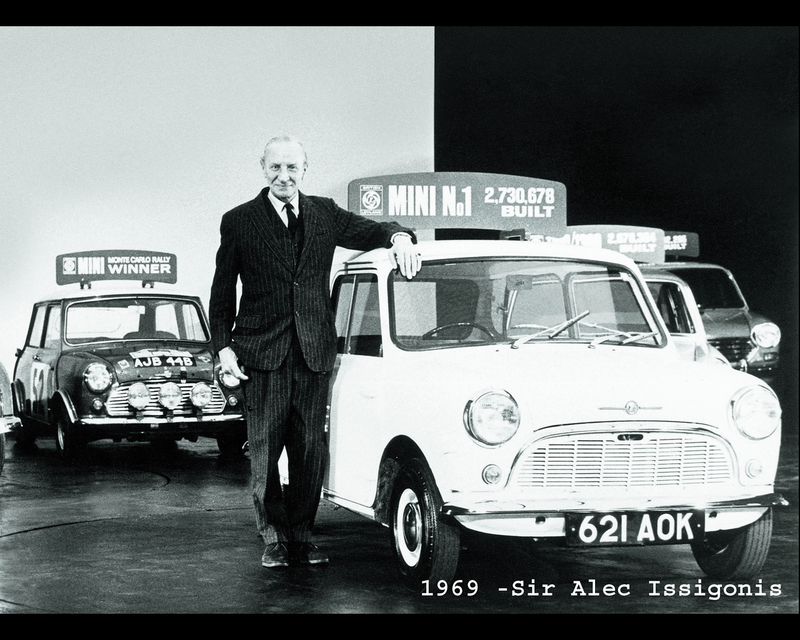 Once the world’s rich and famous (Peter Sellers, the Beatles, Brigitte Bardot, Clint Eastwood, Lord Snowdon, Twiggy…) adopted the Mini as their preferred city car, it rapidly became the symbol of an entire generation. 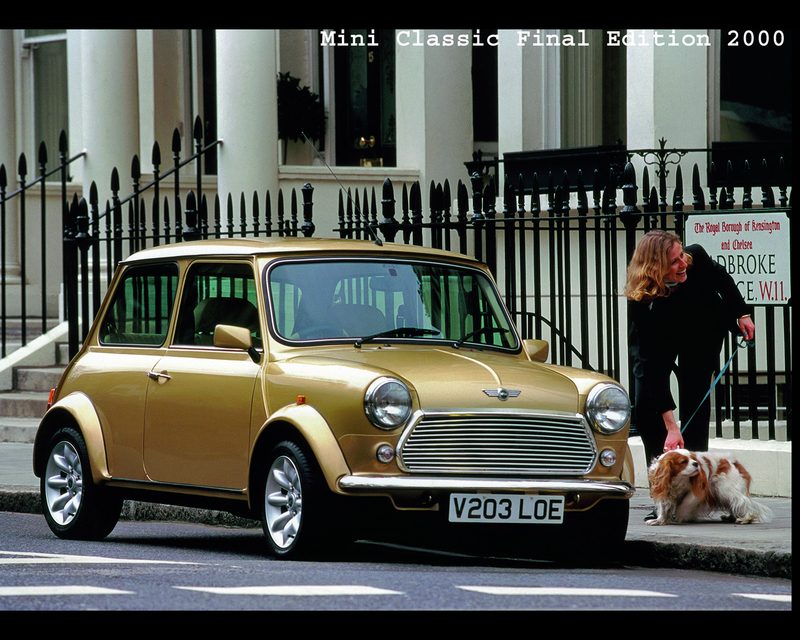 Over the next 40 years the Mini became an icon – a brand with a unique tradition and charm that appealed to all ages. The production of the original BMC Mini 850 ended in 2000 with some 5,800 million units sold. The engine size moved over the years from 850 cc. gradually to 998 cc. and finally 1275 cc. with different level of power output. 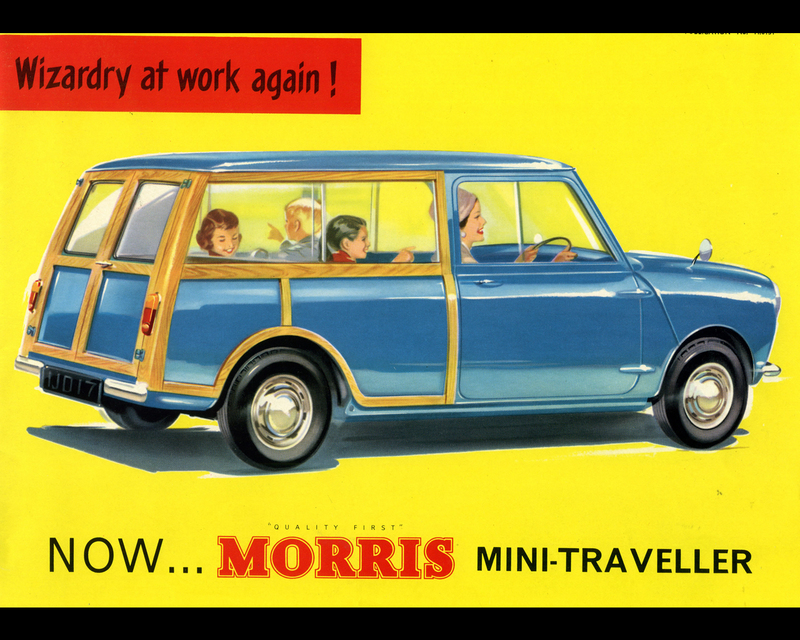 This brilliant concept could work for more than just a car, and sure enough a Mini van and fully glazed estate version with longer wheelbase and twin rear doors – launched as the Morris Mini-Traveller and Austin Seven Countryman – soon hit the road. 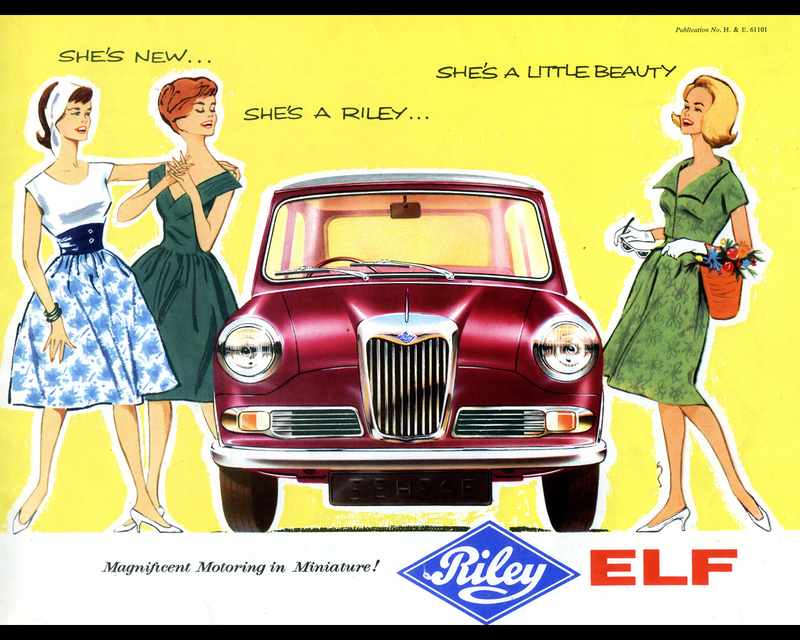 Other BMC brands, namely Wolseley and Riley, prepared luxury versions for the Mini; it was the Riley Elf and the Wolseley Hornet. 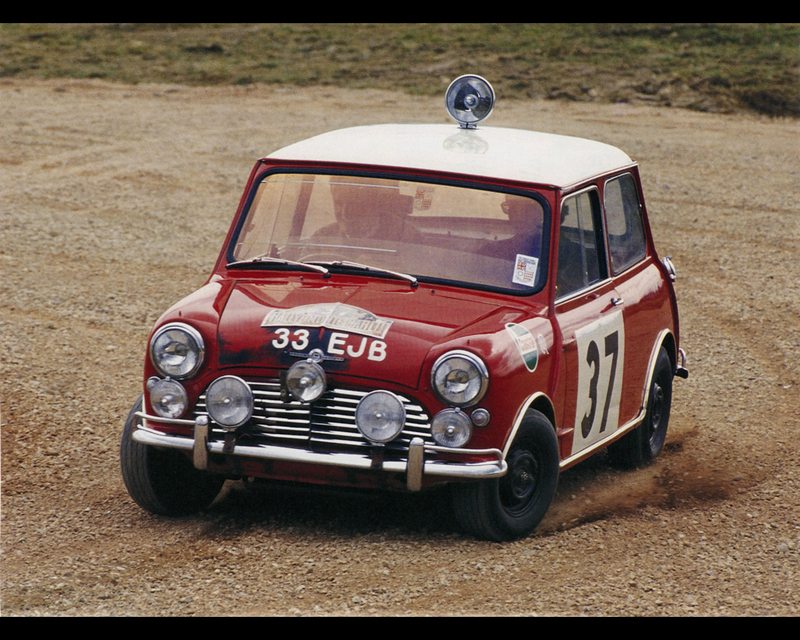 The sporting talents of the classic Mini inspired Formula One racing car designer John Cooper to come up with a specially tuned performance version. 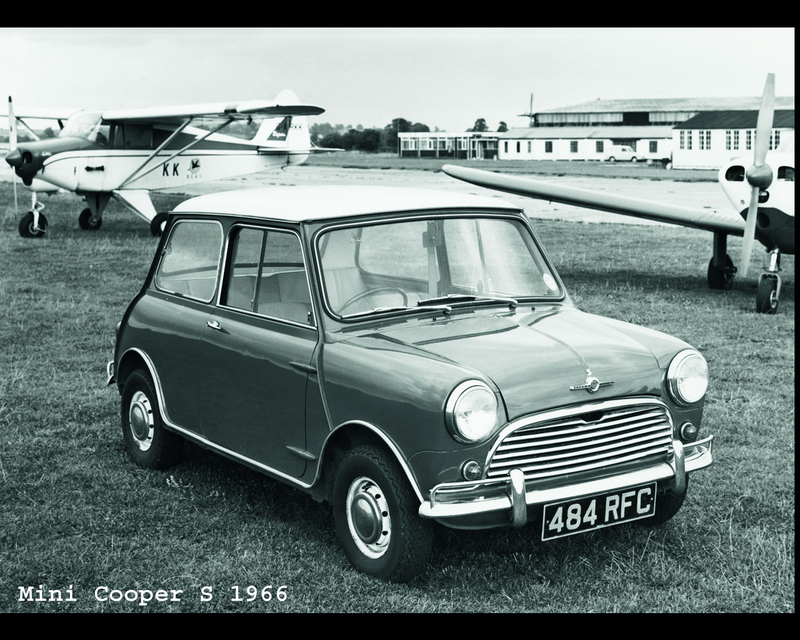 The Mini Cooper, boasting engine output increased from 34 to 55 hp, duly arrived as early as 1961, to be followed two years later by the Mini Cooper S developing 70 hp. In road trim, the two models were quickly embraced by sporty drivers in the know, while on race tracks and rally courses they took on the role of giant-slayers, leaving larger and more powerful rivals trailing time and again in their wake. 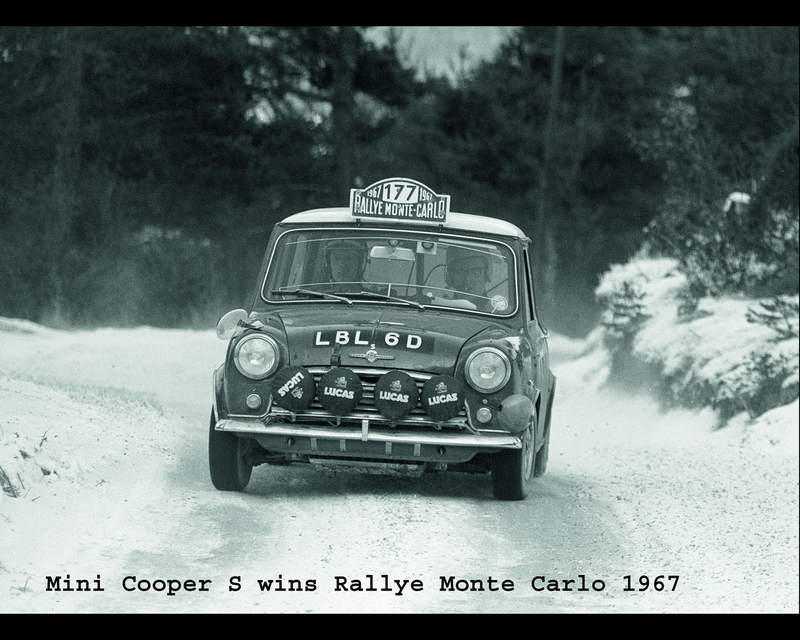 The trio of overall victories notched up in the Monte Carlo Rally between 1964 and 1967 represent indelible milestones in the life of the classic Mini. 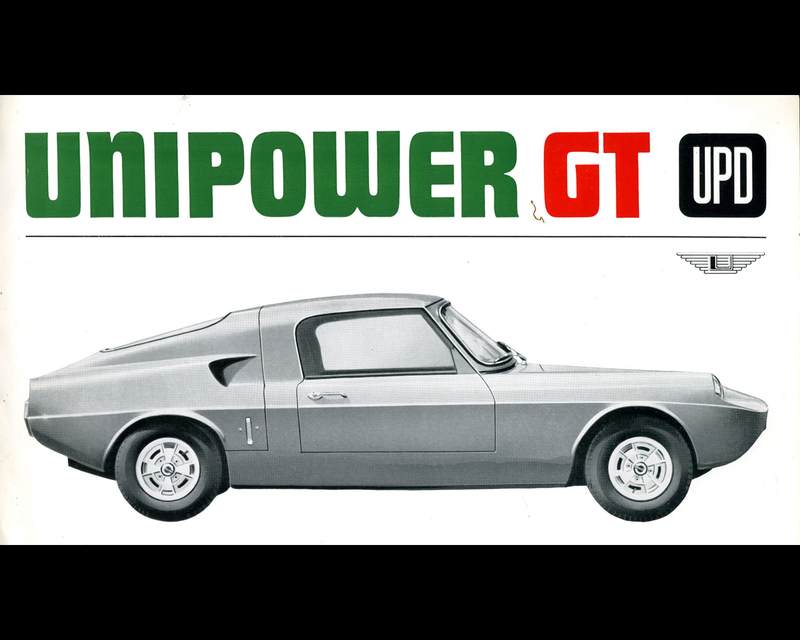 Some Specialist Manufacturers in Great Britain implemented the Mini power-plant in different sports cars projects either at the front end like the original or on the rear axle to produce mid-engine coupes. A great majority of these special cars were proposed either fully assembled ready for the road or in “kit car” to be assembled by the customers thus avoiding purchase tax in the United Kingdom. 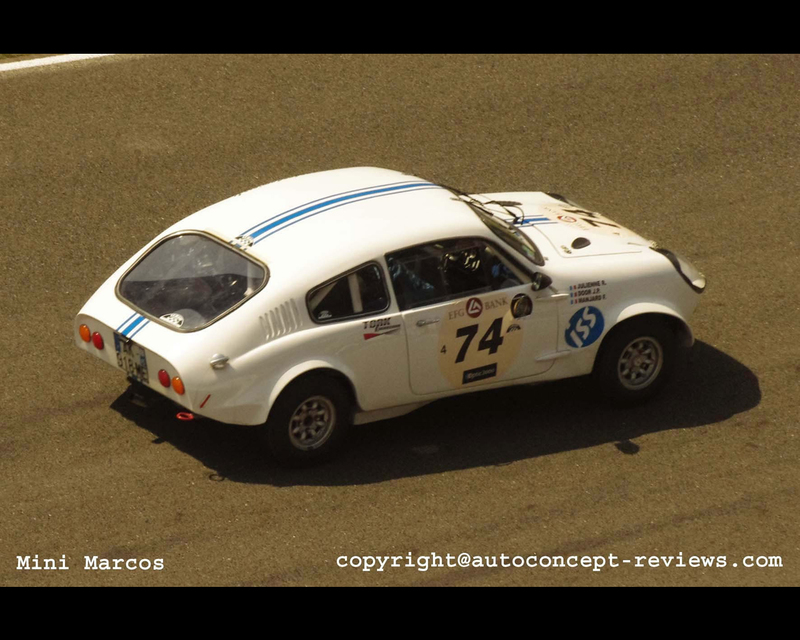 Just to name a few, there was the Mini Marcos GT that even participated to the 24 Hours of Le Mans famous endurance race. 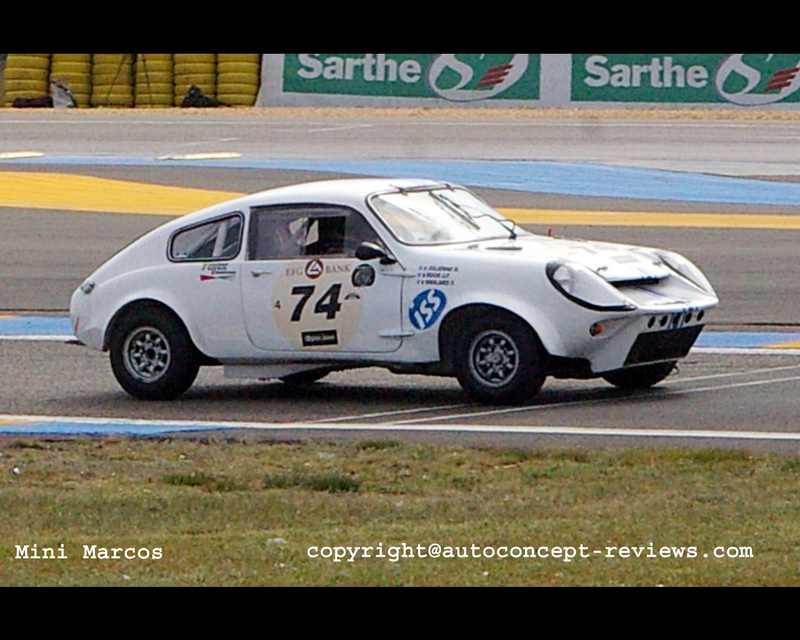 The Mini Marcos GT originally was a 2+2 coupe with power-plant from Mini 850, Cooper 997 cc. or Cooper 1275 S with different power level proposed. 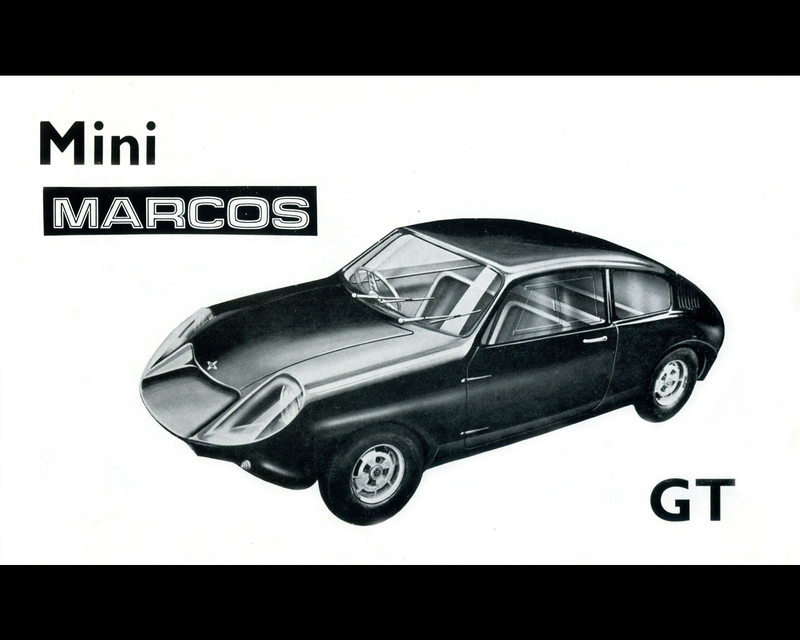 The Mini Marcos GT was based on a reinforced glass fibre body-chassis unit incorporating the wooden box sections that have been employed in other Marcos models. 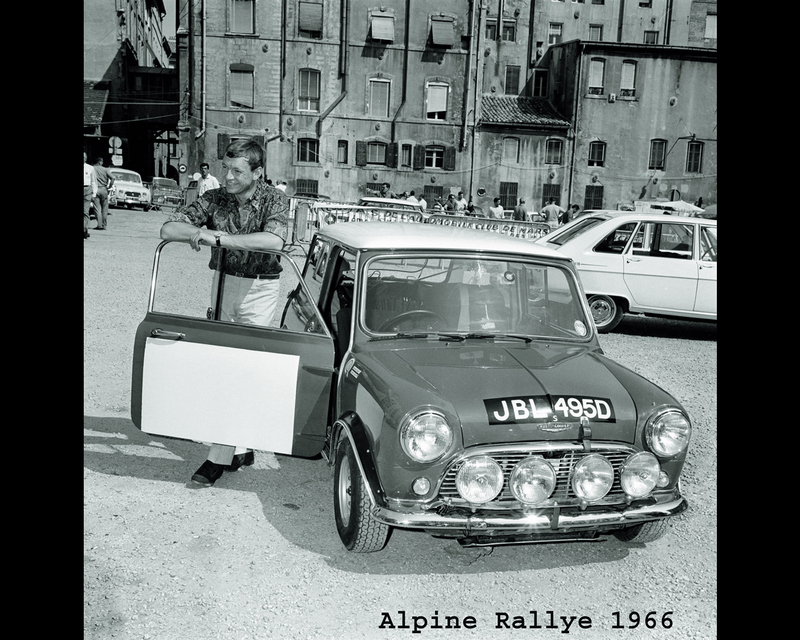 To this body-chassis were attached normal Mini engine, transmission and suspension units. Competition versions were extrapolated from the base model and were entered in several racing events. 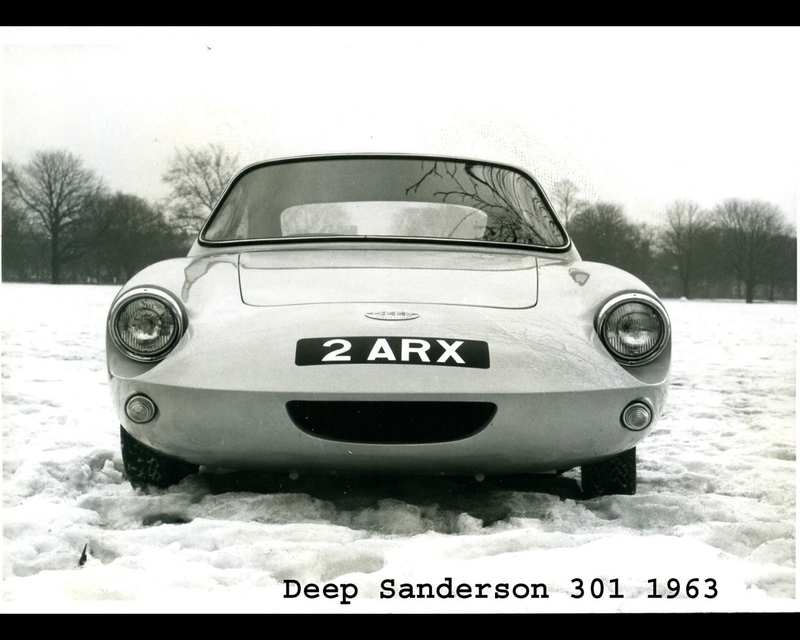 The Deep Sanderson 301 mid-engine coupe prepared by Lawrence Tune also attended the Le Mans endurance race. 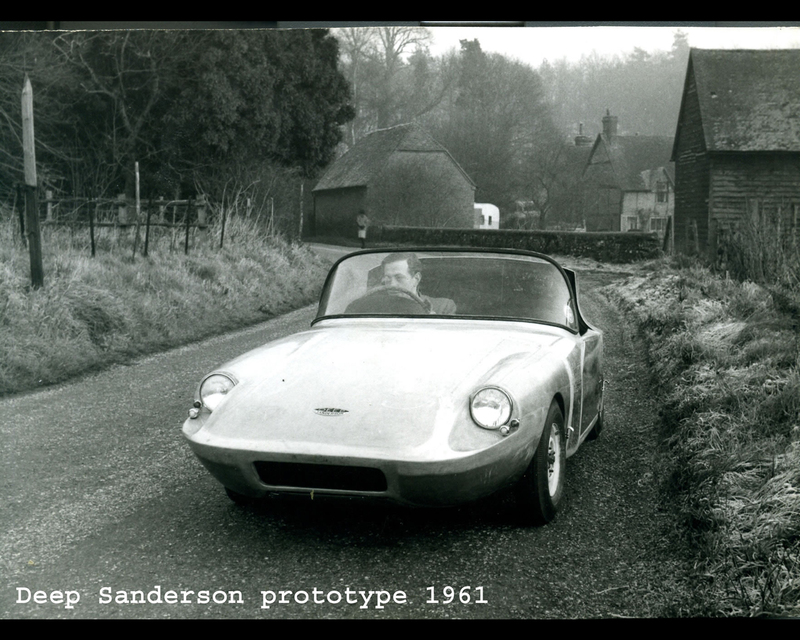 Chris Lawrence started development in 1961 of a targa style roadster prototype. This prototype was produced in several examples for private customers who sometimes decided to go racing. The quoted weight was 395 kg. There was a specially designed chassis with a central main tube and front and rear structure supporting the mechanical components. Suspensions were Lawrence design with coil spring. A wide range of engine tuning allowed different level of performances. For more than one year the roadster has accumulated considerable experience in competition in the United Kingdom as well as Nurburgring 1000 km. 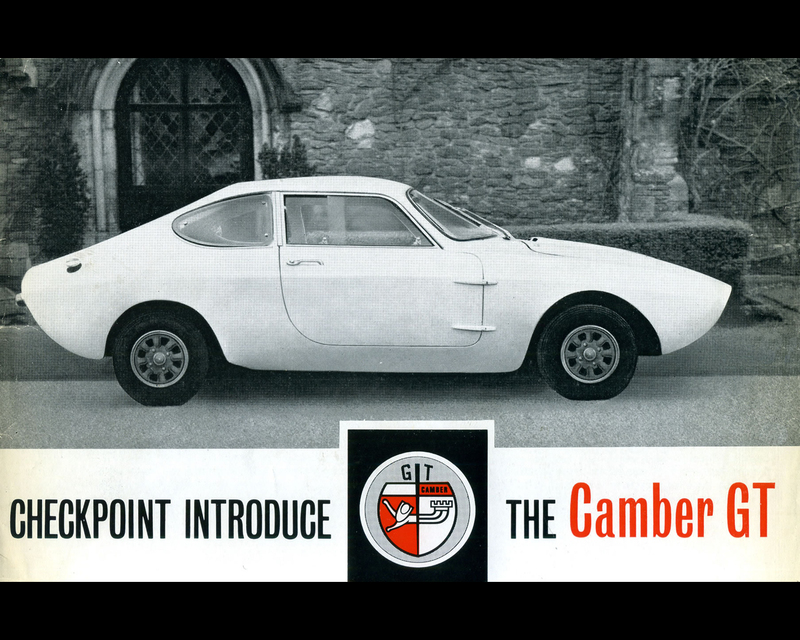 An attractive two-seater GT coupe was extrapolated from this experience. 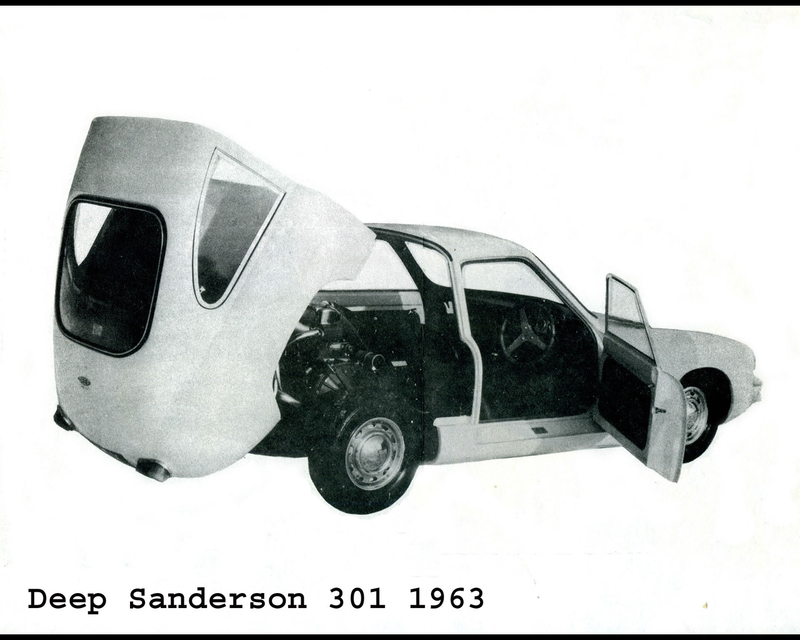 The Deep Sanderson 301 coupe was introduced in 1963. The whole rear section of the body hinged back to give access to the engine The passenger. compartment terminating at the back in a very substancial roll-over hoop against which the rear section of the body was securely locked when closed. The body was made of glass fibre reinforced plastic. The height of the Deep Sanderson 301 was 1020 mm (3 ft 4 in) only! 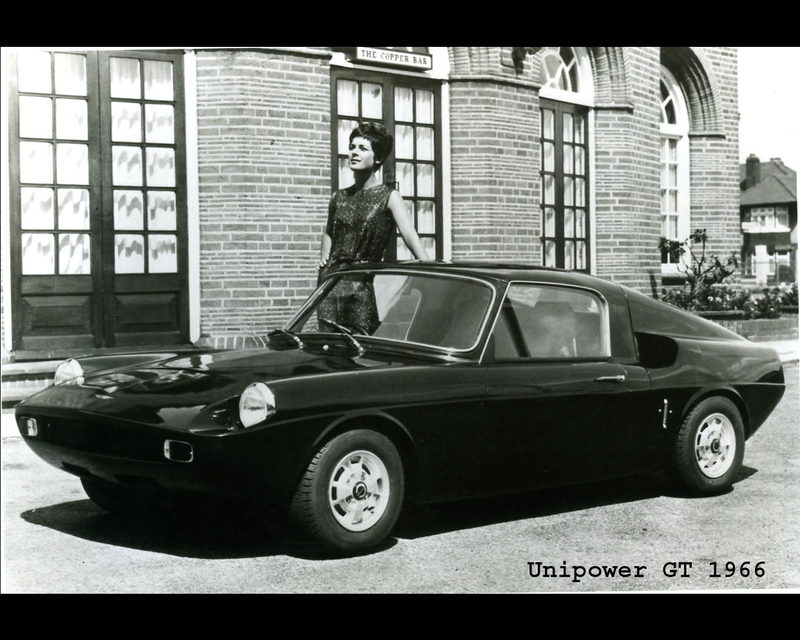 The Unipower GT was introduced in 1966. 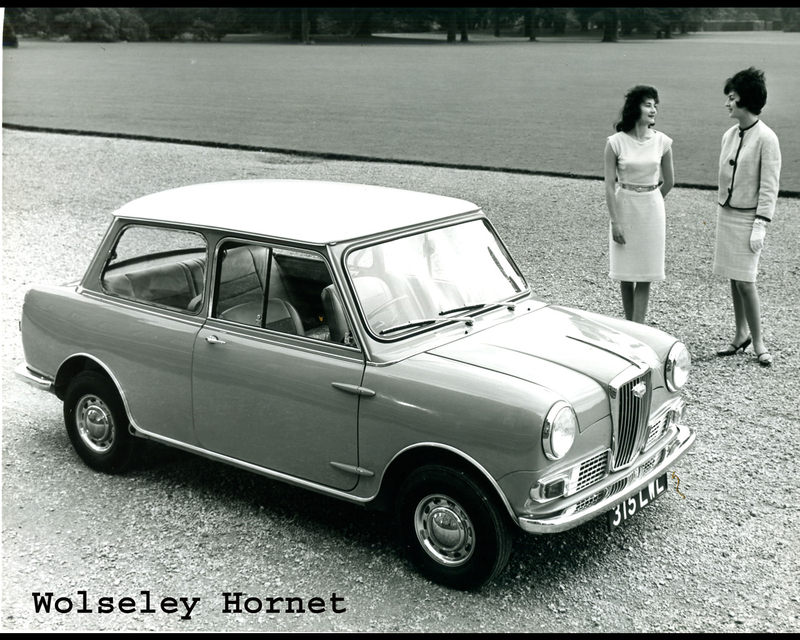 The Mini engine and transmission were mounted transversely at the rear of a special welded square tube spaceframe chassis which had its own suspension system. 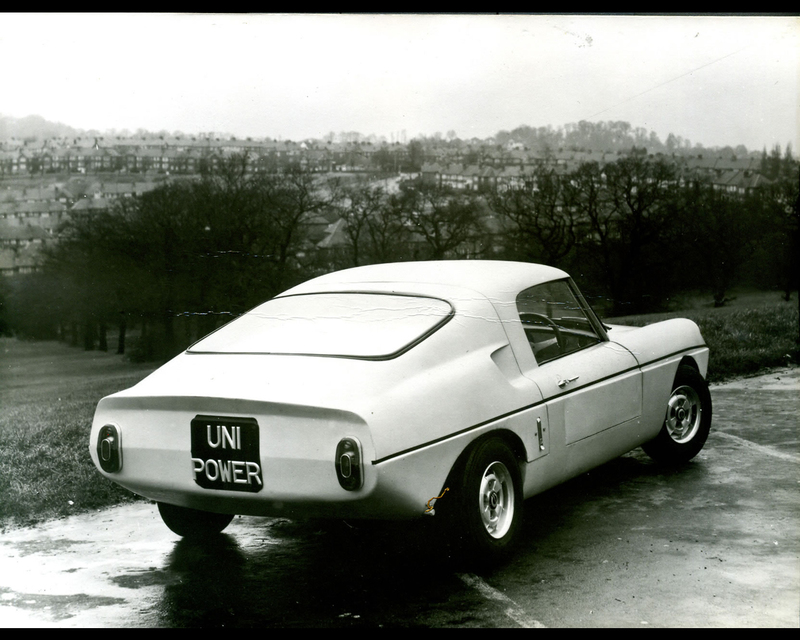 The low coupe glass fibre reinforced plastic body was suitable for two occupants. The quoted weight was 10 cwt (508 kg). 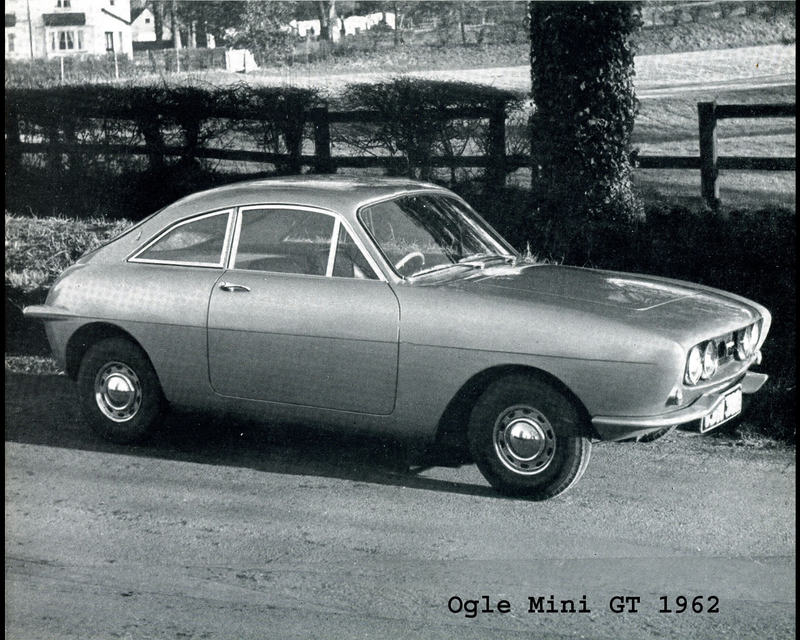 The Ogle Mini GT is a different story. 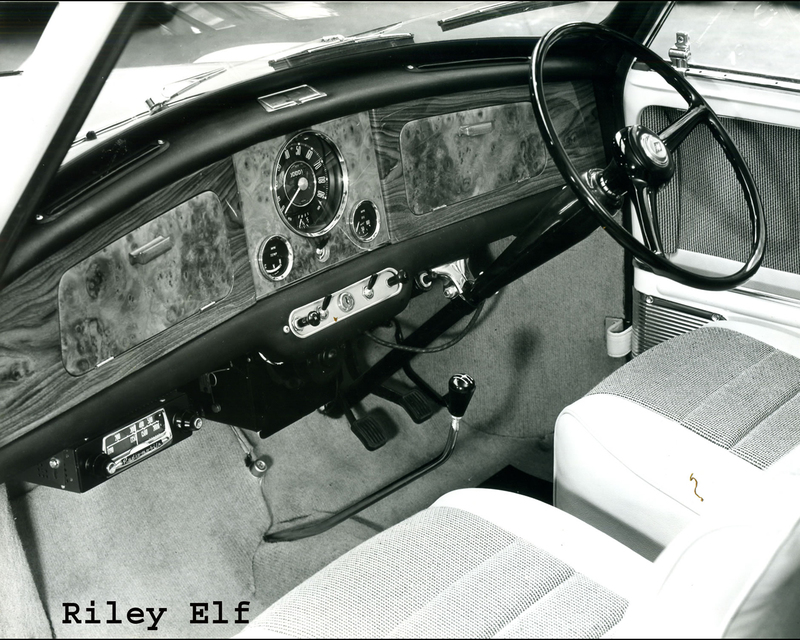 It was introduced in 1962 by Design Studio and Coachbuilder David Ogle Limited. 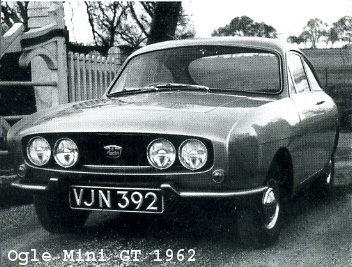 The coachwork workshop would hand-build the Ogle Mini GT based on a new or used BMC Mini provided by the customer. 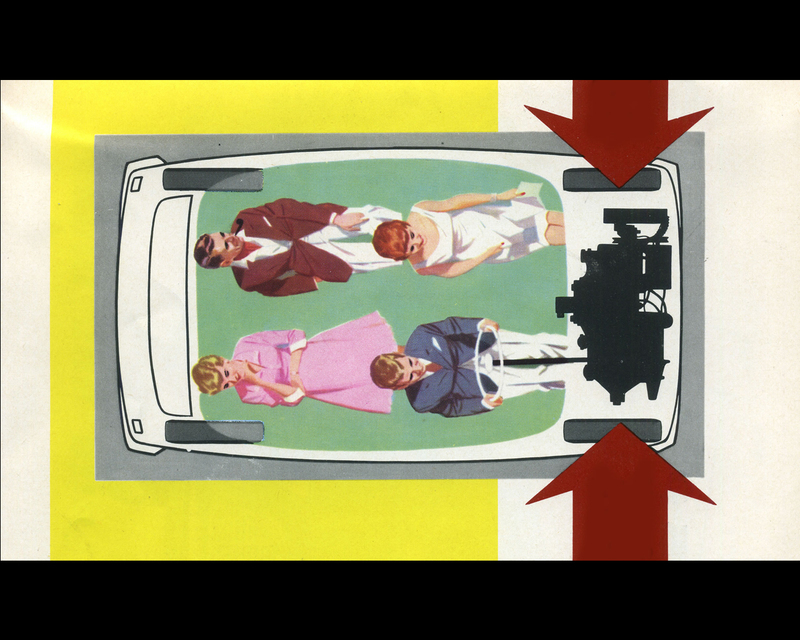 The car was indeed proposed as a conversion. 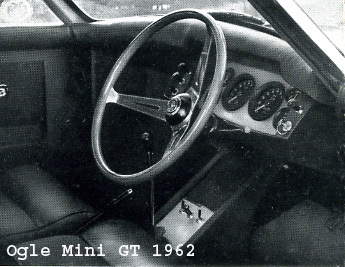 The luxury aerodynamic two-seater GT was built on BMC Mini. The body was made of glass fibre reinforced plastic. It was fitted on a Mini stripped down to the platform, but the front and rear sub-frames were left in position. To provide the necessary rigidity, extra transverse members which form door sills were welded along the sides of the platform. Additional stressing is also provided at the rear and in the scuttle. The new body was built on this base. Any tuning of the engine would be done a specialist shops. The dimensions are 3350 mm (11 ft 2 in.) long, 1177 mm ( 3 ft 10,5 in.) high and 587 kg (1294 lb.) weight. The Camber GT was a kit car conversion meaning that the customer had to implement the mechanical components of an existing BMC Mini on the delivered body-chassis kit. The conversion kit was a tubular steel chassis and laminated fibre glass reinforced body with steel reinforcement in the roof.. 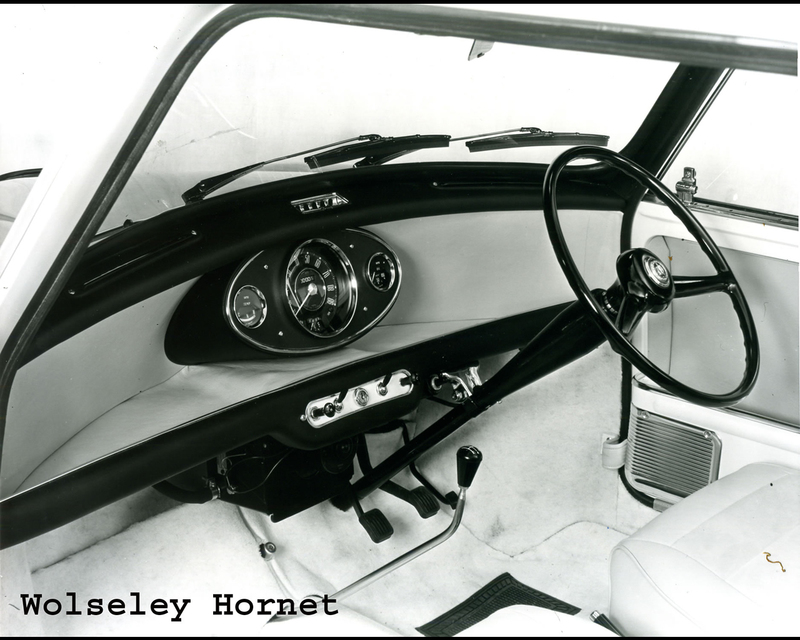 The body-chassis came with full trim as well as doors and hoods, windscreen and window glasses mounted. 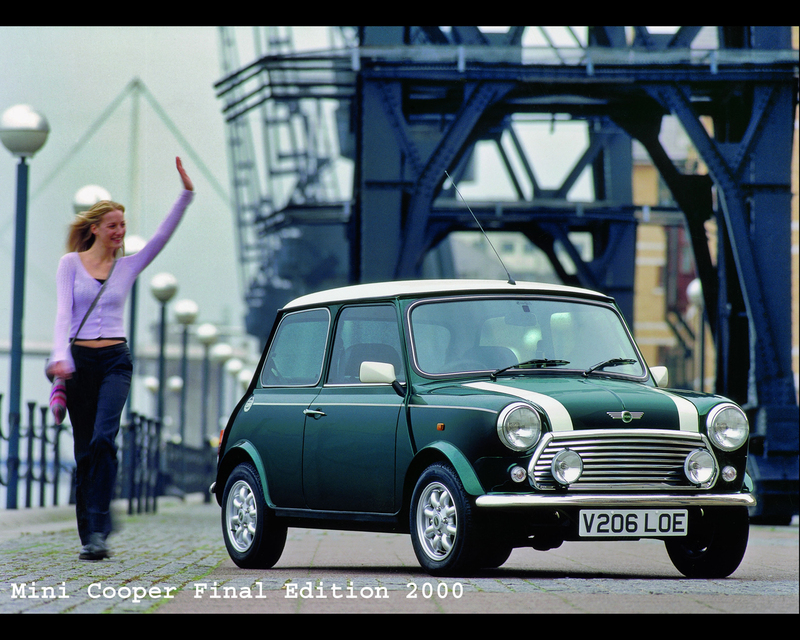 Following its acquisition of Rover in March 1994, the BMW Group decided to revive the MINI brand tradition and continue writing Mini’s history: The new MINI was to create a unique premium brand with unmistakeable charisma and excellent product qualities in the compact segment – respecting its history, but at the same time meeting the needs of its present customers. The brand was successfully re-launched thanks to consistent positioning as a premium global brand and a clear focus on its new target customers. See BMW Group - MINI E Electric Car 2008 for more about MINI Revival.